The Gypsies -- Romani people -- are the unique nation in the world to live in distinctive national pockets on four continents and have no home land. "Gypsy" is an exonym for Romani, Romany, Rroma, Sinti, Tzigani, Cigany, Gitans, Gitanos and some members of the group resent its use. For the purpose of this article it will frequently appear along the "Romani" and "Roma". not in disrespect but as a requirement of Search Engine Optimization for the topic. The Roma are all speaking the same Romani language, albeit in dialects and have fiercely preserved their cultural and national identity through centuries of migration from one part of the world to another. Small Gypsy communities left behind by those who decided to move further have kept their customs and traditions as distinctive groups in the middle of a many times hostile local population. The rejection of values and lifestyles has been reciprocal by both locals and Gypsies and it is difficult to know if discrimination by locals led to the isolation of the groups of Gypsies or the total disregard of local values by the Gypsies has led to discrimination by the established local cultures. The debate is still on today as democratic societies are trying to accommodate the Romani national traditional identity in the mainstream legislation and social cultural and welfare system. The Romani, on the other hand are just discovering their own history that they reclaim in a more structured and organized way as their own nationals are getting the necessary information and education for the task. The new era of access to information and travel have brought the apparition of Gypsy nationalism. 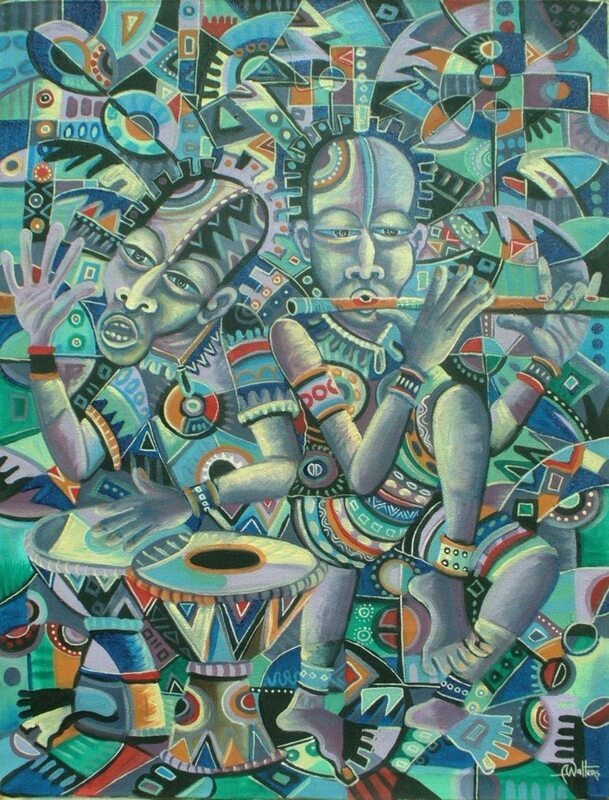 The new era of informed interaction between different cultures is also contributing to a greater tolerance for the Romany traditional background that carries unusual values to someone outside the tribe. Stereotypes on Gypsies are slowly fading -- most importantly among the Romani people themselves. Education, sometimes legally enforced upon the Gypsy children will certainly slowly but surely bring the balance needed between the Romani nation's future status and the established social structures of the host countries of their homes. Whatever the reason to stop by and read -- you will leave with a better picture of the fascinating Gypsy world -- and a good collection of resources on Romani history and the wonderful Gypsy music. Find also a wonderful collection of more than 70 Gypsy folk tales -- just under the title "Gypsy tales and folk tales" They are free to read online or you can save them to your computer for future printing and distributing as the stories are in the public domain. Articles about historical facts related to the migration of the Romani Gypsies from the North of India beginning the fifteenth Century. The Romani history is just about to be better .documented in current times as the Gypsies from all over the world have started to get organized in an officially recognized nation and get representation in their various countries social and political structures. The Romani Gypsy flag (intro picture) has been also only recently adopted as an unifying symbol of all the Romani Gypsies. Interest and financing of projects related to research regarding Romany Gypsy history is emerging lately, as well as the recognition of their rights to a national identity. The matter is a great challenge for the leading political organizations as the formula for a satisfactory solution for all parties involved has no precedence. Werener Cohn from the University of British Columbia -- Professor of Sociology at the University, specialized in the Sociology of the Gypsy and Jew. Pictures of famous people of Gypsy origin on the most beautiful rendering of the Romani Anthem, the Gelem Gelem or Djelem Djelem musical background. The video is getting the number of famous and successful Romani Gypsy people in the world in the spotlight.. Artists and sportmen, politicians and writers, Romani have contributed to the general social development of the larger communities of their host countries. The video below is really worth for opening -- to the Romani reader and to the non Gypsies visiting this page alike. There are Romani Gypsy nationals that became successful in various fields of activity and became well known. Famous Gypsy people might be in a far greater number than we can know -- there has been no reliable research into the matter. Some famous personalities of Romani Gypsy origin might not have been keen on revealing that. In other cases of successful people of Gypsy descent, the fact might have been gone unrecorded. Fairly or unfairly -- the Gypsy song is the one part of the Romani culture that non Gypsies have accepted and liked. Gypsy music is the bridge that has brought the local population together with the strangers coming from far and the Gypsy songs have been the means of livelihood for generations of Rroma. A selection of Gypsy songs should accompany your present reading -- it will hopefully bring joy into your hearts and life into your souls! The articles above are of great value to anyone that is looking for information on the Romani Gypsy culture and tradition. The articles are comprehensive descriptions of the Romani society's traditional structure -- with reference to customary laws and behavior. Gypsy customs are not well known by outsiders and the Romani have values and taboos -- all very different from the Gadjo society, the non Gypsies. Reading about the Romani Gypsy laws, the concept of merime, the values and status that the Romani with Romanipen accept, marriage customs and rules on social interaction, the nature of Gypsy justice and the way it is delivered would give one a better understanding of their isolation among other populations. As the Gypsy traditional community system is little documented, we are grateful for the information that has been shared on the topic by the authors. Gypsy Laws are at the basis of the Gypsy traditions and customs -- they are a set of rules that might be difficult to understand from a non Gypsy point of view but knowing more about them could be a step to cross the bridge into a right direction. Take a moment to read about the Gypsy culture and traditions -- it might be that they are fading slowly as general social development tends to harmonize old habits with new ones that are more in tune with modern realities, but a glimpse into the fascinating Gypsy world is a privilege that should not be missed. What is the Gypsy Court? The Romani word for the Gypsy court is Kris -- a form of balancing disagreements between members of the community as a traditional form of making justice. Get a Russian Gypsy song collection to cherish and hold -- and listen to wherever you go. Music and songs have been for the Rroma Gypsies a means for making an income and being socially accepted. Great Gypsy singers became favored by powerful figures of the local community and got their protection and support. Hungarian Gypsies and enetertaining musicians , the Cigany, became the same, as a concept. The Hungarian Romani Gypsy would sing for happy moments as well as for sad moments for his public -- and share them with it. The Gypsy Wagon -- or Vardo -- is the caravan that the Romani people used to live and travel. It is less of the place of a home nowadays, even for the Romani themselves. However, there are still Gypsies that keep a vardo as a matter of pride. Old pictures of Gypsy caravans show a taste for the colorful decoration that is a trademark of the Gypsy sense of beauty. Current Gypsy vardos seem to keep the traditional line. It is false that Gypsies are poor. The members of the Romani Gypsy ethnic groups are like any other groups of people -- some are rich, some are poor and some are living an average lifestyle being people of average financial status. Globalization, democratization, modernization have affected the Gypsies too -- some integrated, partially or totally into the mainstream population, being more or less concerned of the traditional Gypsy customs rather as a private and personal matter. Other than becoming financially comfortable by education and making a successful professional career, or earning a wealth trough talent and art, there are a great number of Gypsies that became rich by taking advantage of the sudden freedom of private enterprise in the Eastern European block. Many big houses built according the specific Gypsy aesthetic show that Romani can and are getting sometimes rich. There are poor Rroma -- living in poverty seems almost traditional for some. The reasons are complex and perpetuated by suspicions from both sides between the Rroma and the non Romani. Members of the community deal with them as individuals -- poor or rich, some Romani taking advantage of the opportunities for education and encourage their children for a change, others just keeping the same isolation from the mainstream population. Efforts are certainly made by the leaders of the Romani communities and the political representatives of the Roma to find a balance to integrate and preserve ethnic national identity..
Avoid the stereotype images that often catch eyes in the media or movies. The Romani are a nation, scattered over the world. This simple fact would be enough to make the members of its communities different from each other. But more to the principle -- the Romani Gypsies are a nation that has individuals -- it is not a block but a lively community with a variety of lifestyles as any other nation in the world. 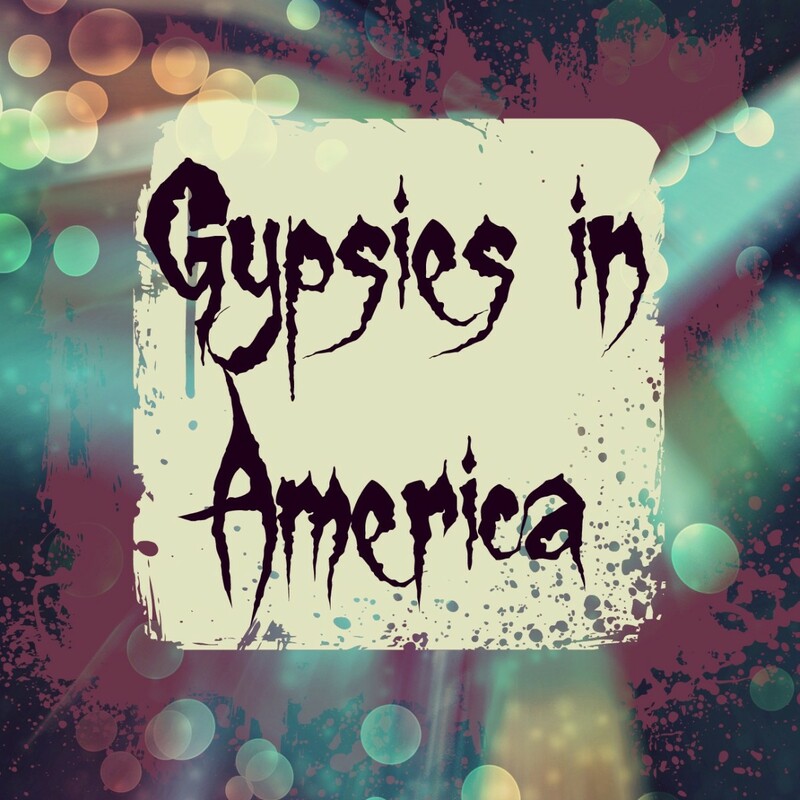 The Gypsies have been romanticized as a topic for storytelling -- and sometimes for entertainment in the movie industry -- but in real life facts are a bit different than just a story. Several answers to this question. 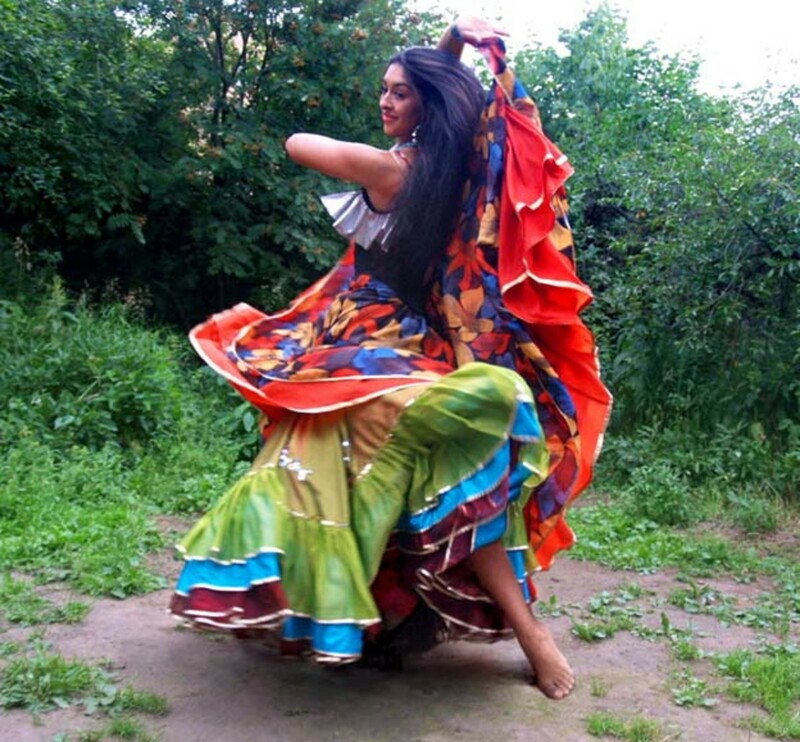 There is a number of International Romani Gypsy organizations and Associations that create the environment for the Roma to find their way of a new integration into modern times, to build channels of communication between groups living in various countries, to meet up on occasion of the various Romani Festivals, to make cultural exchanges and preserve Romani Gypsy traditions. Leading the international and national Romani Gypsy communities there are the modern Baro -- the outstanding figures of Rroma. Originated from the influence on the local music of the Gypsy songs, flamenco is a distinct musical style. What are the Romanichal Gypsies? Yet another name for the Romani Gypsies, the Romanichal Gypsies are a group of the Romany nation. Read more below about what a Romanichal Gypsy is -- and where they live currently. Have you been at a Gypsy festival? Romani festivals are cultural events when the Roma from other parts of the world can meet, socialize and enjoy Gypsy songs and dance. There are several international Romani festivals and some traditional regional events. Non Gypsies can also attend and take advanteg of an opportunity to find out more about Romani culture and traditions. Gypsies like their horses. Although transport does not depend anymore on horses, many Gypsy Romany still keep the traditional Gypsy horse breed, the Gypsy Cob or the Vanner horse. Gypsies take pride in their horsemanship -- traditionally the Gypsies had great skills and knowledge of horses and trading horses was a specific Gypsy occupation. The Gypsy Vanner horses became popular in the USA and they are well loved in Europe, especially in the UK. Gypsy horse fairs became nowadays events less about trading horses and more about socializing and meeting for the purpose of matchmaking -- as the saying goes, the horse and the woman is the pride of a man! In traditional Romani culture the groom and bride's union is decided by their respective families when the wedded-to-be are still children. Romani Gypsy marriages are negotiated without the young groom and bride could have a say -- it is more a about the union of the two families than the union between the young Romani. Girls can be very young -- roughly 10 years old when they can be married by their respective families. The grooms are sometimes older but not in all cases -- sometimes the groom are also just children. The girl will follow her husband, once she is married and the groom's family will consider her as their own daughter. The custom of marrying at such an early age is slowly fading though the as Roma can not avoid the changing social environment they live in. I searched for old secrets of Romani Gypsy spells to share with those that can find them helpful in a difficult moment of their lives. The spells are described and step by step guidance given for the procedure of the spell casting. You would do the spells yourself, in the safety of your home. The Gypsy spells that I linked below are white spells, for love, health and happiness. The spells involve focusing on your problem and the people related to them, small rituals that help concentrating and old rhymes of Romani Gypsy origin -- some of them in the Romani Gypsy language and their translation into English. . The beautiful world of folk tales to make any child happy -- especially those children that have at least one drop of Romani blood. Romani folk tales have been collected by passionate people about Romani traditions, Gypsy stories and culture. Gypsy tales bring to the forefront the Gypsy traditional characters, values and beliefs. The traditional Romany Gypsy costume is colorful. Gypsy woman and girls wear brightly colored skirts and blouses with large sleeves. Brightly colored accessories complete the image. All items are patterned in different designs and different colors. Big shawls or big sized colored pieces of cloth thrown around the shoulders, head or even around the waist makes Gypsy women to have that air of wild beauty and comfort with their own appearance. The skirts are long and cover the feet completely -- in fact, in Gypsy Romany tradition, for a woman to show her feet to a Gypsy man is taboo. In contrast to the women, the Gypsy Romany man is wearing a combination of white shirt, with long and large sleeves in combination with a dark, mostly black trousers and a dark, mostly black hat. It is not usual but the Gypsy man can also wear a brightly but plainly colored shirt, of silky and shiny texture. Men wear dark coats to complete the traditional Romany outfit. The favorite textiles for the Gypsy male's trousers and coat are velvet and corduroy. What are the Gypsies -- after all? The views on the Gypsies -- from outside -- will tell quite little about how they really are. By the end, the truth is that Gypsies are like any other nation -- although they all have a common culture, as individuals, they are different. 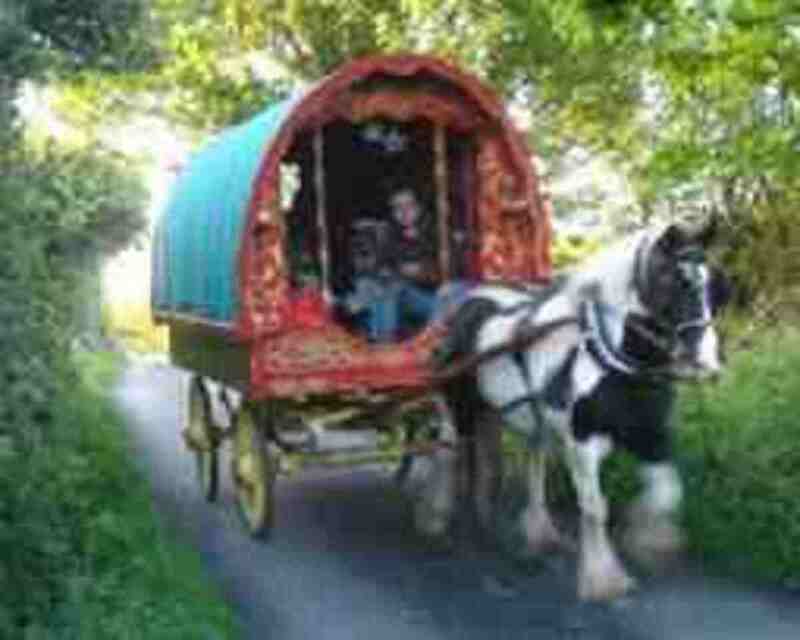 Gypsies are certainly a challenge to the established order and they do not like to be simply assimilated. What are the Gypsies?Are the Gypsies Jews? The Romanian Gypsy King's resting place prepared for his funeral -- a fully furnished roomThe Gyspy style lifestyle becoming a trend? Informal views in an interesting assortment from blogs by Gypsies and non Gypsies on what the Gypsies are. For one that is really interested in an answer it becomes clear that there is no simple answer to the question of what the Gypsies are. They are people, in the first place, and as different as any other individual from an other individual. Aside the common characteristics of a cultural background that they are more or less personally relating to, Gypsies are people that find their ways to live in a world that we all share. Lyuli GypsiesRomanian GypsiesWhere are they from? Where do they go? A title illustrated by some beautiful pictures. Do you know any real Gypsy? Are you even bothered about the topic on the Romani Gypsies? Can you relate to the passion that the Romani Gypsies feel about being free? Do you like the Gypsy songs? Would you adhere to the set of traditional Gypsy customs? Romany and non Gypsies from all over the world -- make your comments here - Do you have any personal view on the Romani Gypsies? This is a very interesting lens. I know there are many prejudices, but I guess, at heart, people are people - some good, some bad, in every culture. Very interesting lens indeed - pinned to my history board and blessed. Nice lens! I am part Romanian, so I always thought Gypsies were cool. And my family and I LOVE the Gypsy Kings. Thanks for your writing! @TwistedWiseman: I know what you are talking about as I am coming from Romania where things are the same. It is up to society and the Gypsies themselves too to make the effort of finding the best ways to live together -- there is no alternative to that. There are scum people among the mainstream population as well -- what can we do with them? @anonymous: Lyuba, I hope you live a full and happy life in your new home country. I wish you good luck and friends from all the nations that live in New Zeeland that will love you for how you are rather than looking for what you are! @anonymous: Hi Melissa, I am sure that you are an awesome person. I wish you the best luck and a happy life! @Travel Shepherd: I agree, Paroshep, of course Gypsies are not all wonderful and sugar and spice and all things nice. That is more or less true for other nations too -- there is trash everywhere in the world -- I just focused here on the sides of the Gypsy culture and those Gypsies that respect their own tradition. You did a great job at explaining gypsies here. So much great info. Blessed. @TwistedWiseman: Poverty isn't nearly as scummy as a person with Internet access abusing it to mock the poor instead of using his information privilege to make the world a better place. Very interesting and unique lens. Nice Job and Blessings to you. Thanks for describing different aspect of gypsies and their life styles. An interesting read, Thank You. But it doesn't seem to be complete without photos of all the trash left behind when the travellers move on. Perceptions of the Gypsies will not improve until their leaders take responsibility for the obnoxious members of their nation. Hi.im melissa ima half-breed born to a family of romanichal gypsies in memphis tnn...just like to thro out there that i hav two college degrees and do not beg for things...most ppl think gypsy is a made up race or herritage...well glad we got sites like these to sho the gorjas who is really the ignorrant one...we do exist! And were awesome...at least i am! Hi my name is melissa... Im from memphis tnn. I was born to a family of romanichal gypsies im 27 years old and ppl are always freaked when i tell them my nationality...ppl are ignorant to us thinking we are a "made up race or tribe" im so glad we have sites like this to prove the gorjas wrong....all my ppl know what i mean...peace! I LIVE IN NEW ZEALAND AND AUSTRALIA AND ON THIS SIDE OF THE WORLD PEOPLE DON'T KNOW ANY THING ABOUT GYPSY. I AM ONE AND I COME FROM RUSSIA AND IN RUSSIA PEOPLE ARE NOT VERY NICE TO GYPSY. I REMEMBER THAT TIME THERE. BUT NOW I LIVE HERE AND PEOPLE ON THIS SIDE OF THE WORLD ARE GOOD AND HELPFUL TO ALL PEOPLE NO MATER WHAT YOU ARE. OTHER COUNTRY'S SHOULD HELP GYPSY PEOPLE. THIS IS GOOD INFO FOR ALL THANK YOU I HAVE LEARNED SOME NEW THINGS ABOUT MYSELF. 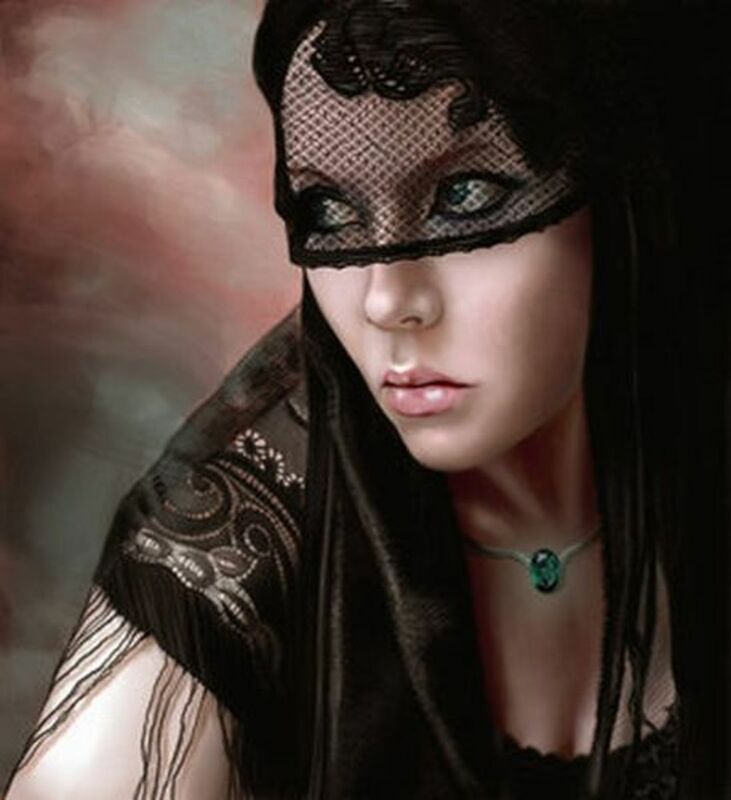 I AM ROMANY GYPSY I DO RELATE BUT DO NOT LIVE AS GYPSY. Well I live in Serbia and basically they are treated as scum, not many Gypsies here deserve too much respect. Mostly beggars and thieves with no education or pride. My former lumber master " JUGA " is a great man and also a gypsy, he really tries to stand out of the usual gypsy stigma of being scum. Nice lens! I'm part Romanian, so I like to tell people I'm part Gypsy as a joke. Thanks so much for this fascinating portrait of the Roma. I've always been curious about them. I had no idea that the gypsies had such rich life! Thanks for sharing this with us. What a fascinating history about a fascinating people! I really learned a lot from your lens and I love the music video clips. I heard gypsies are very naughty, but I don't believe a word of it, being one myself! @juditpaton: Charlie Chaplin's parents occupation were: alcoholic abandoning his family -- for his father -- and singer actress, for his mother. @juditpaton: Thanks for the visit. maybe Charlie Chaplin (and his mother) have not been keen to publicize their Gypsy origin, which should be not surprise anybody. I guess there are many more people of Gypsy origins that do not want to make that public. Aside the mystery around Chaplin's birth place, the famous actor himself referred to his maternal grandmother of being of Gypsy origin in his autobiography, making a note of this "skeleton" in the family closet. Not that Charlie Chaplin origin would matter that much, after all we know and love him for his talent and activity not for his origins. Very informative and beautiful lens, however i doubt that Charles Chaplin would be of rromani origin, as his parents were poor british people, with specifically jewish jobs, what the traveller people never practiced, and if the mother gave birth to his son in a gypsy caravan, this would not give him gypsy origin, rather is a consequence of the poor artists condition.